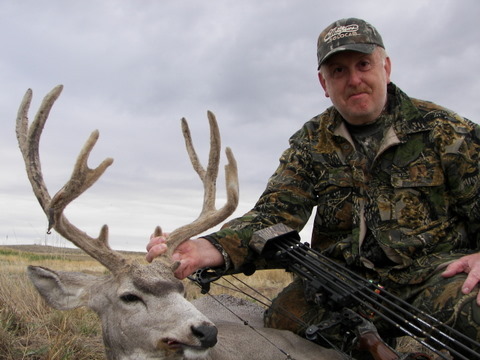 Bowhunting is my passion in life and I hope to transfer that feeling for it to others here on the pages of this site. I have hunted the last 20 years with two of the best friends anyone could have. 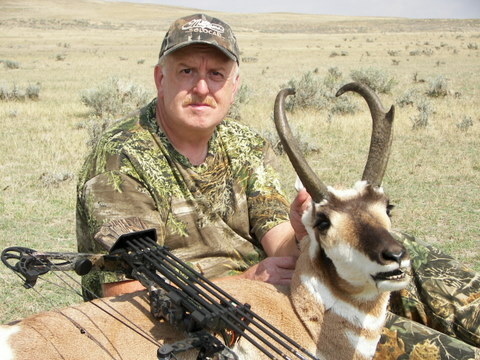 They have taught me so very much about the pursuit of the Whitetail Deer. 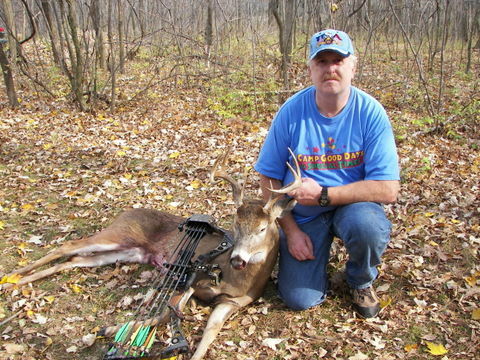 The Whitetail Deer Information they have will be put to good use on this website as well. 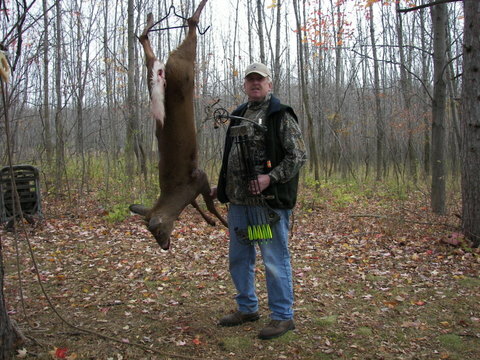 To show we do put our knowledge to good use here are a few of our Whitetail Deer Hunting Pictures. In the first picture below is a spike I harvested one year. That year I harvested another spike with the gun. I considered them both a trophy because of the food they put on my table. Always make sure you carry your camera with you for great Whitetail Deer Pictures. The next two are a couple of the 8 point bucks I have harvested. 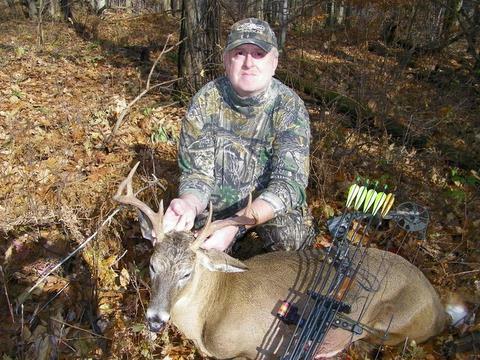 I harvested one buck in 1985 that is in the books with the bow. It is 14 points and scored 139 1/8. I only put this in here to let folks know I do know a little about hunting Whitetail Deer. I do not consider myself an expert. 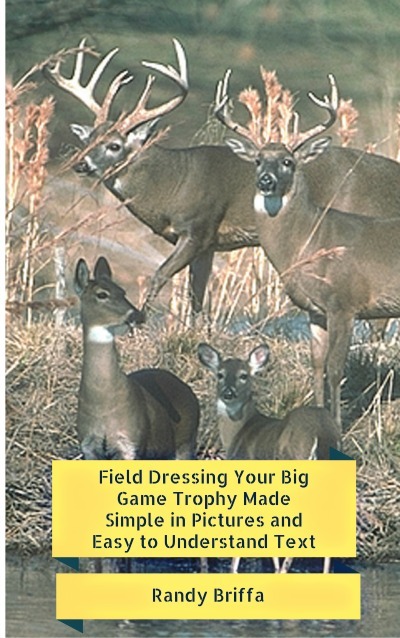 Learning about the Whitetail Deer is a lifetime passion of mine. Just when you think you know what they will do they make a fool of you. 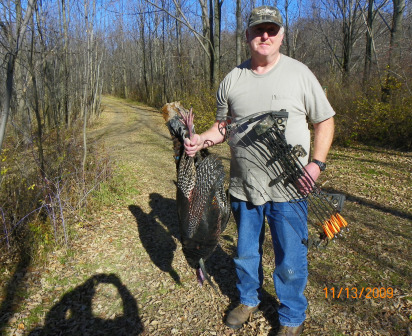 » Home Page for "Table Mountain Outfitters"
Below is a picture of a Turkey I was able to harvest the Fall of 2009 with my bow. This was just one very dumb Turkey. I was a very lucky hunter to get this bird. He was 25 lbs with a 10.5 inch beard and 1.5 inch spurs. One thing I have learned is never make a flat statement about Whitetail Deer because they will outsmart you each time or at the least make you look silly. This is a life time adventure you should take with us. Thanks for visiting and please contact us with your comments. We may add them to our site.